In honor of National Breast Cancer Month, I changed my blog background to pink to create awareness and remind everyone to support Breast Cancer Research. 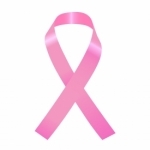 As a young girl, I watched my grandmother fight breast cancer for many years. I can remember when I was in 3rd grade we were told she only had 3 months to live. She ended living long enough to see almost all of her grandchildren graduate from high school. She was 3 months away from seeing me graduate from College so with the help of educating women and promoting awareness about this disease we can find a cure. I just came across a website called Pink for October - They are asking website or blog owners to change there background to pink for the month of October. Thanks for stopping by and leaving me sweet comment. I'm all about supporting the causes because it affects so many people and families each year. Thanks for the awareness. I lot a good friend to this and have two others who are struggling to win. I'm sorry about your grandma. That's just so sad.